Established in 1944, the WBG is one of the world’s largest sources of funding and knowledge for development solutions. In fiscal year 2014, the WBG committed $65.6 billion in loans, grants, equity investments and guarantees to its members and private businesses, of which $22.2 billion was concessional finance to its poorest members. It is governed by 188 member countries and delivers services out of 120 offices with nearly 15,000 staff located globally. 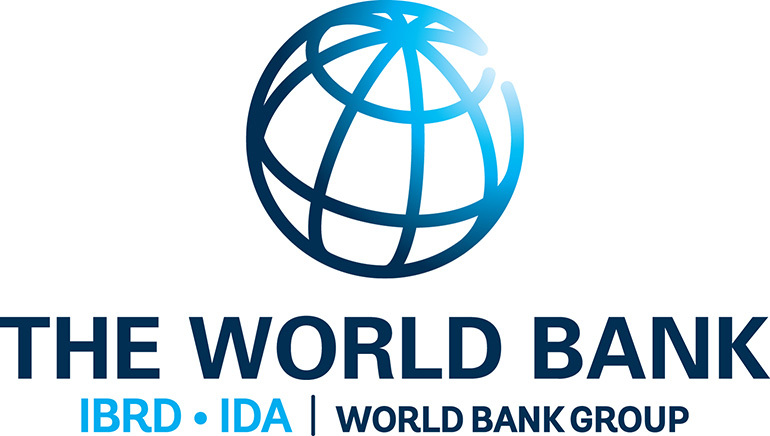 The WBG consists of five specialized institutions: the International Bank for Reconstruction and Development (IBRD), the International Development Association (IDA), the International Finance Corporation (IFC), the Multilateral Investment Guarantee Agency (MIGA), and the International Centre for the Settlement of Investment Disputes (ICSID). IBRD and IDA are commonly known as the World Bank, which is organized into six client-facing Regional Vice-Presidencies, several corporate functions, and – as of July 1, 2014 – has introduced fourteen Global Practices (GPs) as well as five Cross-Cutting Solution Areas (CCSAs) to bring best-in-class knowledge and solutions to regional and country clients. GSURR covers a wide Range: (i) developing green, inclusive and resilient cities; (ii) addressing the social inclusion of the poor, vulnerable and excluded groups through accountable institutions, and ensuring compliance with social safeguards; (iii) enhancing urban and rural development through supporting and managing the urban-rural transition, assisting local development through developing land tenure, management and information systems; and (iv) assisting in disaster risk management through issues of risk assessment, risk reduction (including flood management, urban drainage, coastal management, and retrofitting of infrastructure), disaster preparedness (including hydromet services, early warning systems, and civil defense), risk financing (including Development Policy Loan with Catastrophe Deferred Draw-Down Option CAT-DDO), and resilient reconstruction (including post-disaster damage and loss assessment). Urbanization in Sub-Saharan Africa is occurring at an unprecedented pace. The share of Africans living in urban areas is projected to grow from 38 percent in 2016 to almost 60 percent by 2040, translating to an additional 40,000 new urban citizens every day until 2040. The region’s urbanization rate, one of the highest in the world, can lead to economic growth, transformation and poverty. However, many cities in Africa still have not fully captured the benefits of urbanization and poorly managed urbanization has exacerbated existing infrastructure challenges, resulting in increased inequality, urban poverty, proliferation of informal settlements and vulnerability to hazards. Adverse natural events present a serious obstacle for achieving sustainable social and economic development, particularly in vulnerable regions as Sub-Saharan Africa. Disaster affect the poor most severely; unplanned human settlements, unsafe building practices, high population densities, economic growth, and accumulations of assets in risk prone areas has dramatically increased exposure to hazards and increased disaster loss. Climate changed has the potential to significantly worsen the situation. To this end, the Africa Urban and Disaster Risk Management Unit (GSU19), brings together a wide range of important and interrelated development and financing instruments to support national and sub-national clients to: harness urbanization and enable effective land management in support of both growth and poverty reduction; foster social inclusion of marginalized groups; support the responsiveness and fiscal, financial, and management capacities of local governments – cities, municipalities, and rural districts – to deliver local infrastructure and decentralized services; strengthen resilience and disaster risk management related to natural disasters; reduce conflict and violence; scale-up access to finance for sub-national governments; and reduce the carbon footprint of cities. In Ethiopia, the Bank’s broad urban development assistance has been delivered through Operational support, and a comprehensive TA program, fully integrated with the lending program. The urban local government institutional strengthening and municipal infrastructure provision has been provided through a series of decentralization and local governance programs since 2003. This culminated, with a US$400 million PForR (Second Urban Local Governments Development Program (ULGDP II) approved in 2014, and most recently a US$ 600 million hybrid operation (IPF and PForR) approved by the Board in March 2018. The recently approved Urban Institutional and Infrastructure Development program (UIIDP) targeting to 117 ULGs. This will be implemented in a period of 5 years and 4 months (from March 2018 to July 2023), and consist of four rounds of performance-based grant allocations, with Disbursement Linked Indicators (DLIs) achievements in EFY2011, EFY2012, EFY2013 and EFY2014. The Program consists of the provision of performance-based grants to ULGs for eligible Investments and support to achieve Program Results at the regional level on capacity building, financial audit, procurement audit and environmental and social safeguards audits. It also has a component for supporting federal entities that will enable MUDCo to support and guide the regions and ULGs and also to administer and coordinate the Operation. A $550,000 trust fund from the Public Private Infrastructure Advisory Facility and the Rockefeller Foundation has been secured to support Municipal Financing and Creditworthiness in 5 Ethiopian Cities (Addis Ababa, Bahir Dar, Mekele, Hawassa and Adama). The activity has three components focusing on 1) assessment of regulatory and legal environment and capacities for subnational PPPs; 2) enhancing municipal own source revenue generation; and 3) climate resilient capital investment planning. The objective is to achieve concrete improvements in financial performance and capturing and scale up experiences to other cities across Ethiopia. The Africa Urban and DRM Unit would like to engage a versatile Municipal/Infrastructure Engineer/ Specialist with experience in infrastructure investments and contract administration and urban development. S/he will advise and guide participating ULGs in the implementation of the World Bank funded programs, in Ethiopia. Key responsibilities will be supporting the World Bank urban operational and analytical activities in Ethiopia. Undertake intensive travel across Program ULGs to supervise quality of infrastructure sub-project implementation and provide advice and recommendations to the MoUDH and Bank technical team. Work implies frequent interaction with the following : Counterpart officials in government, development partner organizations, and other partner entities; Counterparts within and across sectors, networks, CMUs, etc., and other units’ integral to delivery of business objectives. Proven organizational skills; and Language proficiency in English and Amharic essential (verbal and written). Urban policy, strategy and institutions – Understands the institutions and governance issues related to Urban, with specific firsthand experience on engaging institutions as well as assessing their respective capacities. Make Smart Decisions – Interprets a wide range of information and pushes to move forward. Note : The selected candidate will be offered a one-year appointment, renewable for an additional one year, at the discretion of the World Bank Group, and subject to a lifetime maximum ET Appointment of two years. The World Bank Group values diversity and encourages all qualified candidates who are nationals of World Bank Group member countries to apply, regardless of gender, gender identity, religion, race, ethnicity, sexual orientation, or disability. Sub-Saharan African nationals, Caribbean nationals, and female candidates are strongly encouraged to apply.